Ankle injuries can be hard to read, unless you are a trained medical professional with diagnostic tools at your disposal. Often times, the inflammation, pain, and bruising of a fracture can look the same as a simple sprain. Research shows that even minor leg injuries like pulled muscles and ankle sprains can increase the risk of potentially life-threatening blood clots threefold, so it’s important that you see a knowledgeable foot doctor at the first sign of trouble. New Yorkers can visit The Center for Podiatric Care & Sports Medicine in Manhattan or Westchester for expert care. Deep vein thrombosis can happen following an ankle injury, so it is always important to seek professional care. Constable Garvin Demeritte, a 31-year-old member of the Royal Bahamas Police Force on Grand Bahama Island, sustained an ankle injury following a car accident. Though he was fitted with a cast and received some medical treatment, he died — presumably of a heart attack. Tribune 242 reports that, earlier in the year, a young woman with an ankle injury died in the same hospital under the same circumstances. 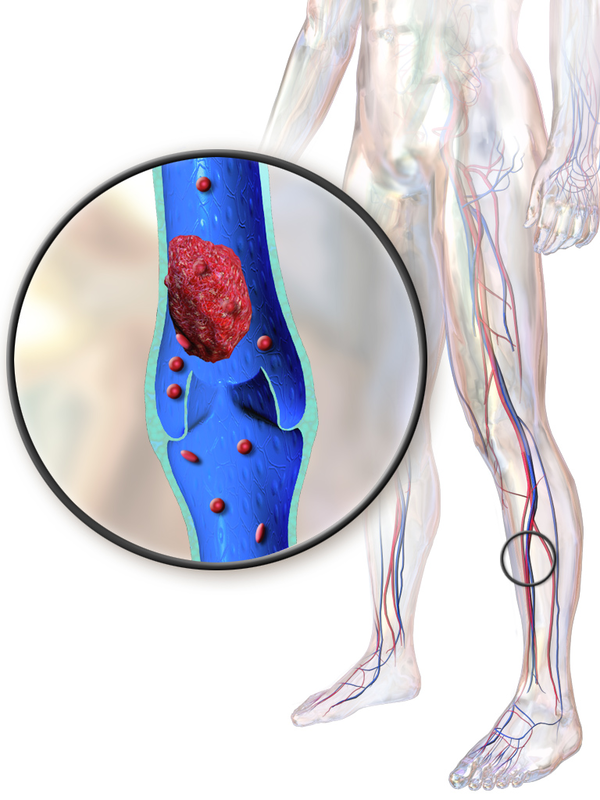 Research conducted at Leiden University in the Netherlands looked at patients with a history of deep vein thrombosis and lung clots. They found that 11.7% of 2,471 heart attack patients (289) had suffered a minor injury in the three months prior to their serious blood clot. Additionally, they found that 154 of the 3,534 patients with no history of deep vein thrombosis suffered a minor injury before suffering their first blood clot. Leg injuries, in particular, were identified in most cases. Scientists believe the reduced mobility following injury may have something to do with the increased risk. – You heard a “pop” when you sprained your ankle and have moderate or severe bruising. – You can’t walk or put weight on your foot, or your ankle feels unstable. – You have redness, swelling, or pain in the leg or groin. – You feel your cast is too tight. – Your bruising and swelling lasts more than two weeks. – You have no noticeable improvement in your ankle after one week. Here at The Center for Podiatric Care & Sports Medicine, we believe in a philosophy of active recovery. Whenever possible, we like to see patients stretching, participating in physical therapy, taking aquatic therapy classes, and riding recumbent bicycles. We explore options like aircasts before deferring to the traditional plaster cast. Our board-certified podiatrists and podiatric surgeons are knowledgeable about these risks and monitor all patients very carefully throughout treatment to ensure that blood clots have not formed. Contact us today to set up an appointment at one of our offices.